Lambert Roofing - Roofing At It's Best! In need of an outstanding roofing company in Clearwater or surrounding area to installed or repaired an old roof? Don’t know how to pick a roofing contractor? Have the piece of mind that comes from hiring a trusted licensed & insured roofer in Clearwater with over 28 years of experience in the Pinellas County area. At Lambert Roofing, we stand behind our work and carry a wide selection of shingle and tile roofing colors to match your home and style. Most Florida homes have shingle roofs. They are an excellent roof choice as they are light-weight yet extremely durable and are able to protect your home from the harsh, extreme Florida weather. They can cost hundreds, if not thousands, less than ceramic tiles helping you save money without sacrificing quality or looks. 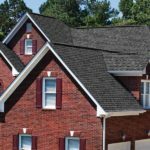 Price – being the most popular roof type, shingles are easy to manufacture in large quantities as well as quick to install as opposed to other types of roofing products. Weight and Flexibility – shingles are surprisingly light weight for their size so they aren’t heavy on your roof supports and can be molded to fit almost any roofing structure. Long lasting – they are highly durable even able to endure in the extreme hot and cold Florida weather. Variety – offered in a wide range of colors and styles, there is a shingle type able to suit anyone’s taste. Want to have a fantastic looking, extremely durable roof that will last for decades to come? Tile roofs are the way to go. They have been around for centuries and continue to be a top roofing choice due to their many benefits. Although a little more costly initially they more than make up for their price in the long run. Quality tiles, if properly installed, can last a long time and enhance the overall beauty of your home. We provide free tile roof estimates for new installs and service Clearwater, St Petersburg and all surrounding cities including Tampa. Durability – Tile roofs are extremely hardy and able to take the relentless extremes of Florida weather. They keep your home cool in the summer by deflecting sunlight and warm in the winter by absorbing it. They are heavier than other roofing materials so they are able to better withstand harsh wind such as those brought about by hurricanes. Environment – Since they are made of natural materials, they are better for the environment. They don’t leech hazardous chemicals during rainstorms and they can be recycled when they have finally reached the end of their usefulness. Selection – Today, tile roof selections come in a wide array of colors and styles. Ask us about matching the perfect one to your home and preferences. So if you are in need of a quality, dependable, experienced roofing contractor in Clearwater or any area for that matter, Call Lambert’s today and we will have one of our guys come out to give you a free estimate. At Lambert’s, we handle any job big or small. We will work to make your roofing experience the best possible. We can handle any task, from single family homes to large apartment complexes. We provide installation, maintenance and repair for all of your roofing needs. Give us a call if you have any questions or don’t see your particular issue on the list. We may still be able to help. 727-475-1658 Lambert’s is one of the top roofing contractor in Clearwater.